Home Business Social Media- Personal Branding -the ONE Secret? You are Here: MLM Network Marketing Training PassionFire » MLM Training » Home Business MLM Training Articles » Home Business Social Media- Personal Branding -the ONE Secret? In home business social media, there are so many tips, trainings, and strategies for success that are so rocking HOT. And we have been training since 2006 on MLM Social Media for Home Business. But I believe one of the GREATEST powers of social media is the power to build a reputation and image in people’s minds that they remember. Personal branding in your home based business requires many things and we are coming out with a resource soon that will equip you to brand you beyond anything you ever though you could. But WHAT is the real focus of Personal branding for Home business? Some say that it is to build a “perception” that other people remember and it stays in their mind. Some say that it is to build a picture online so that people will talk about it and spread it. Some say that it is simply painting a picture of your message with an image or words that people connect to you and remember. But we have built a brand using the word “FIRE” and it has been all over the internet for years. We have used it in images, posts, audios, videos, and the like. But the power of Personal Branding even moves past that. Yes, we have a 7 figure brand, but that is NOT what the TRUE FOCUS is of Personal Branding in home business social media. MLM and social media are much alike. If you think about it, you want people to feel GOOD about you and your message as well as business. How do YOU set yourself apart form all the other home business personal brands out there? How do you RISE above the fray and set yourself higher in the home business profession? We ran across a secret of mlm social media branding about 5 years ago and have taught it only to our Private Clients that we consult with one on one. It is a POWERFUL Secret that many people simply have no clue of. That is why we have been blessed by God to have such a powerful home based business brand in the profession of network marketing. We simply took that secret and ran with it. YOU need to set yourself apart from ALL the rest of the network marketing and work at home folks. You need to make yourself SPECIAL in your prospect’s mind. In Personal Branding in Home Business, do NOT just be remembered. Did you GET THAT? Read it again. LOUD! People that are remembered in personal branding do build a following. But there are those rare people that become Unforgettable in personal branding, that build AN ARMY of loyal maniacs. Is that not what YOU WANT? Do not just settle for being remembered. There are 5 levels of “Personal Branding Impact” as we have developed and in a future post I will cover those so you can have an idea of how to create a Personal brand that does not only trigger a memory of you, but also trigger a MOVEMENT TOWARDS YOU in your mlm home business personal branding. ENDLESS LEADS? And they are FREE to FIND? Click Here for a Prospecting Avalanche! Personal Branding is a powerful social media tactic. 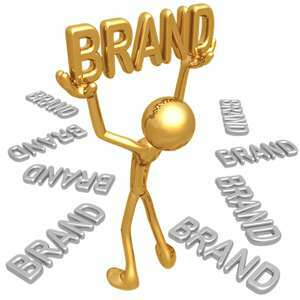 But this explains the ONE Secret that will enhance your branding dramatically….